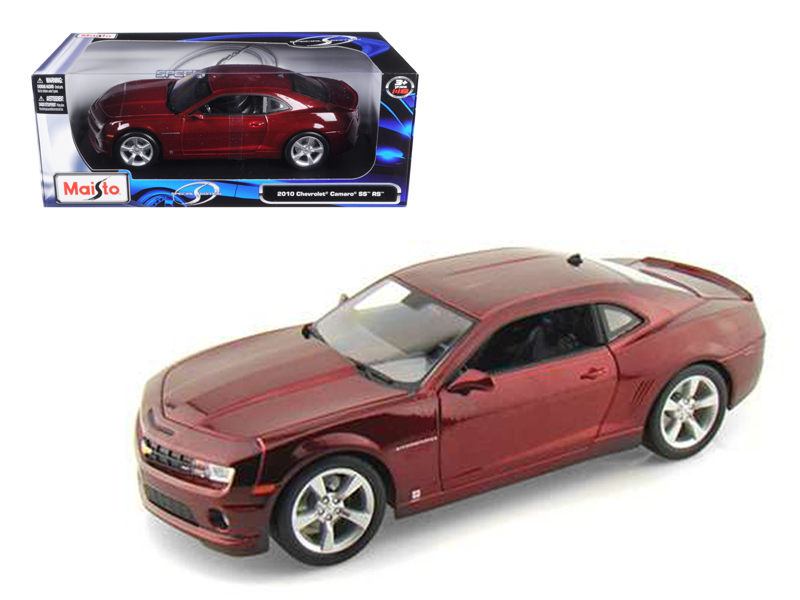 2010 Chevrolet Camaro SS RS Burgundy 1/18 Diecast Model Car by Maisto PRODUCT DESCRIPTION Brand new 1:18 scale diecast model car of 2010 Chevrolet Camaro SS RS Burgundy die cast model car by Maisto. Brand new box. Rubber tires. Has opening hood, doors and trunk. Made of diecast with some plastic parts. Detailed interior, exterior, engine compartment. Dimensions approximately L-10, W-4, H-3.5 inches. Please note that manufacturer may change packing box at anytime. Product will stay exactly the same.